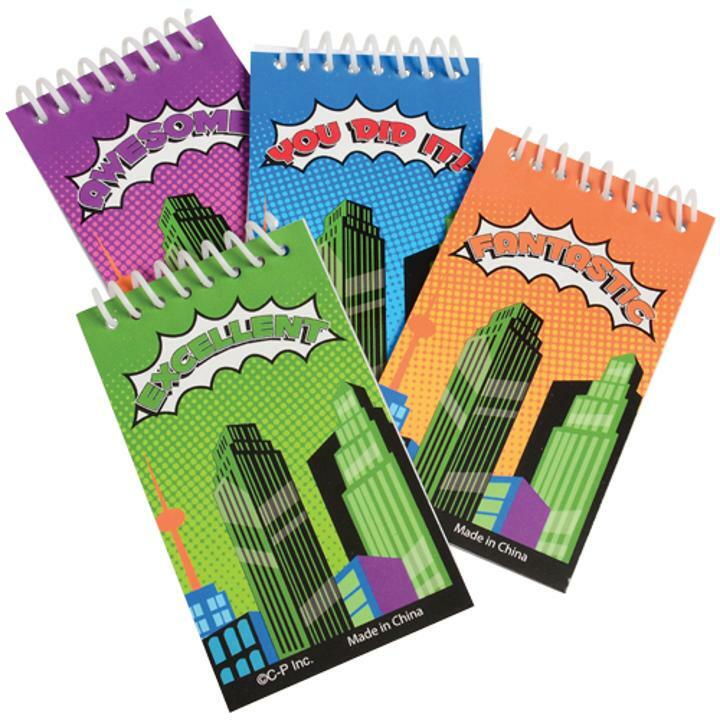 Cheap Superhero Notebooks - 12 Ct.
Superhero Notebooks - 12 Ct.
Pocket sized -��write and draw on the go! Superhero Pencils - 12 Ct. Reward classroom superheroes with these themed notebooks. Draw attention to what a "fantastic" and "excellent" job kids are doing by giving them these pocket-sized stationery items. Kids will love filling these comic-inspired pads with small drawings or notes of their daily adventures. A great party favor for any superhero themed event. L: 6.0 in. W: 1.05 in. H: 6.75 in.